Underwriters Laboratories (UL) is staying in Laramie, Wyo., where it landed in 2014. That year it located its new technology center in the University of Wyoming’s Wyoming Technology Business Center (WTBC), a business incubator program with locations on UW’s main campus and in Casper and Sheridan. WTBC has graduated six startups so far, the most recent being Bright Agrotech LLC, which makes hydroponic production systems for agriculture enterprises. But the global safety science company can’t keep its new technology center in an incubator forever. So it’s building a new facility at the Cirrus Sky Technology Park in Laramie, where it will continue to benefit from proximity to Wyoming’s largest university and the research expertise — and future talent — that comes with it. The Wyoming Business Council provided funding to the city of Laramie toward the construction of the business park and the new building for UL. In 2012, UL acquired IDES, a global plastics information management enterprise and UW spin-off company, now known as UL Prospector. UL’s growing technology center will benefit from access to that group and to UW computer science students, who continue to populate its workforce. By 2012, Wyoming already was coming into its own as a low-cost location for high-tech investment. Microsoft invested more than $100 million that year in a new data center near Cheyenne. Microsoft announced another data center in the Cheyenne area in 2014, bringing its investment to nearly $500 million. In February 2015, Microsoft announced a third data center for the area, boosting its investment to nearly $750 million. 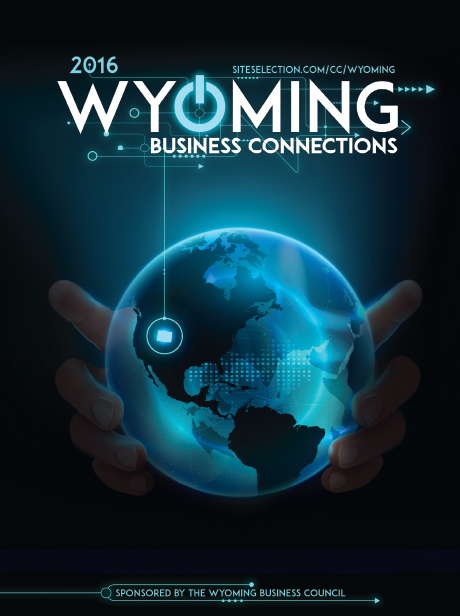 Among other resources available through the Wyoming Business Council are a Managed Data Center Cost Reduction Grant Program and a data center sales tax exemption. Low utility costs, no state corporate income tax and a relatively cool climate are among Wyoming’s built-in advantages for data center investors. Wyoming ranks second in the 2015 Kauffman Index of Entrepreneurship, a measure of state and metropolitan startup activity. Startup firms per 100,000 resident population rose from 204.8 in 2014 to 216.3 in 2015. Speaking of fast, a statewide upgrade to Wyoming’s Internet infrastructure benefits communities, schools and businesses now that the $15-million, 100-gigabit Wyoming Unified Network is complete. Many broadband users had been maxed out at 2.5 gigabits; the upgrade is reportedly a factor behind Microsoft’s investment in the state. Rock Springs and environs are rich in natural resources, and the companies involved in extraction and production require a workforce rich in technical skills. They’ll find some of that expertise three hours east on I-80 at the University of Wyoming, in Laramie. They’ll find it locally, too, at Western Wyoming Community College, in Rock Springs.